Recently my thoughts have been occupied with getting in touch with people who are far away. These are people who are interested in taking part in my research project. Because it focuses on people who have an international educational qualification, potential participants can be literally anywhere in the world. This week I’ve been corresponding with people from both hemispheres about arranging their participation in focus groups. And it is complicated. How do you juggle all the dates and times to arrange to meet up with participants? For my PhD I interviewed 7 participants on 3 successive occasions. I had to be flexible enough to accommodate changes in plans, M.O.T appointments and chickenpox. That was tricky enough and it was all in a small part of the world. Now I am going international, I am stepping into a world of digital communications that is well out of my comfort zone. Did you know that Dropbox is not available in China? I didn’t; I had to find out, with help, what alternatives there were. Neither did I know that there were people in the university who could help me set up a secure Twitter account. It is quite a relief to retreat to the familiarity of Skype…though I am looking into the options for using it, or something like it, to enable remote focus groups. Who knows where my digital adventures may take me? Our family half term adventures took us, and Oscar, to Big Pit near Blaenavon, Wales. This is a colliery museum, staffed by ex-miners on the site of a World Heritage Town. My husband and I both have miners in our families and felt it was apt to introduce the boys to mining as part of their cultural heritage. Lucky them. The main attraction of this museum is the trip down the mineshaft in a cage and a tour of the underground works; you wear helmets with lamps and carry battery packs and oxygen masks. The impression of the dark, damp, cramped conditions men, women, children and animals worked in will stay with us forever. 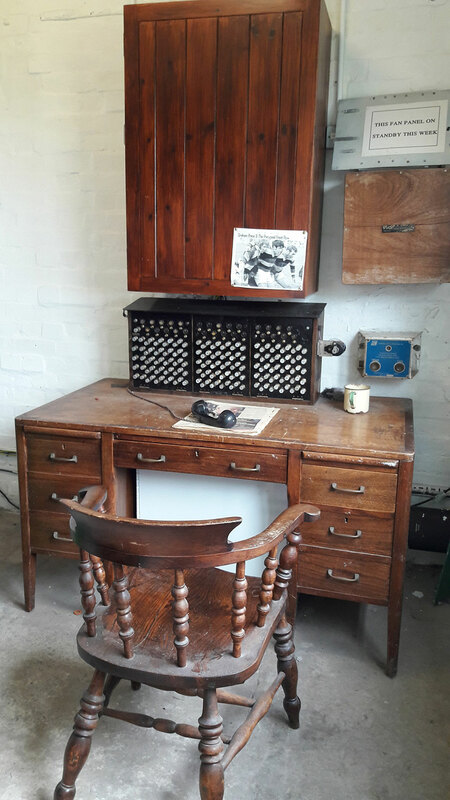 Back on the surface, we found, in one of the site buildings, the town’s first telephone exchange (pictured). A button for each telephone. How things have changed! E.M. Forster prefaces ‘Howard’s End’ with the brief but profound phrase: “Only connect.” I think he is urging people to find something that links them to others of different backgrounds; to recognise that differences are, in the end, rather superficial. I will keep that in mind as I try to organise focus groups involving people from many different countries. I am hoping that, where there is a will to connect, there is a digital way.